How can you put the inauguration of a new president of the United States in a sensible perspective on a blog dealing with legal history? Is it the historian’s duty to say something about the near future or should I refrain at all cost from making predictions? One element in determining the role of a president in history are the presidential libraries and museums created in memory of deceased presidents or even by living former presidents. Starting with the library commemorating Herbert Hoover there are now fourteen institutions which aim at preserving important papers and objects and presenting the deeds and legacies of presidents. In this post I will search for information concerning facts and materials in connection with legal history. Last week I spotted the section on presidential libraries and museums at the website of the American National Archives, but it seemed wise not to hurry into action immediately. The website of the National Archives hosts the Federal Register which preserves also Public Papers of Presidents. For five presidents you can start here looking at online sets with presidential papers, from Ronald Reagan to Barack Obama. In 1957 the Office of the Federal Register started to publish series of publications of presidential papers in print. The National Archives guide you also to other institutions with presidential collections. Pride of place among them goes to the Library of Congress with 23 collections. A number of these collections has been digitized by its Manuscript Division. It is most useful to look at the guides to presidential papers provided by the National Archives. There is even a search interface to search with one action in all fourteen presidential libraries together. I urge you to look in particular to the history of the presidential libraries and the legislation enacted about them. Interestingly there is even a second institution dealing with the papers of Herbert Hoover (1874-1964), the Hoover Institution at Stanford University, and it is only logical to start here with the Herbert Hoover Presidential Library and Museum in West Branch, Iowa. The sheer variety of materials presented on the website gives a fair indication of the possible width of a presidential library and museum. For brevity’s sake I will focus here on Hoover’s period as a president (1928-1933), but it is instructive to see materials, too, even before the period his work as Secretary of Commerce in 1921. Hoover became known nationwide and internationally thanks to his efforts since 1914 for the Commission for Relief in Belgium. The library has eleven collections documenting aspects of his work as a president. Hoover’s campaign for the presidency is documented, too, at West Branch. By the way, its location in Iowa is a reminder of the geographical division of the presidential libraries. You can locate them on a clickable map at the website of the National Archives. The Hoover Institution was founded at Stanford in 1919 by Hoover himself. By the way, he was among the first students of Stanford University when it opened in 1891. It holds collections for his life and work before 1921 and after the end of his presidency, and thus it figures here only briefly, however interesting its activities and collections are. In a way it embodies a part of Hoover’s vision and promotes it for this century. It is not entirely surprising that Franklin Delano Roosevelt’s decision in 1938 to create space for a library documenting his presidency and to donate his presidential papers to the federal government forms the start of the modern presidential collections. The FDR Presidential Library and Museum is located in Hyde Park, NY. A fair part of the collections in this library has been digitized. Using the Franklin search engine you can look at your screen not only at documents created by Roosevelt himself, but also at materials concerning Eleanor Roosevelt and Henry Morgenthau Jr, and there are preset selections on a number of themes. The presence of many photographs in these digital collections reminds you of the impact of the representation of power, law and government. Think only of presidents signing a law… The museum of this institution, as any museum, creates a space set free to focus attention on a particular theme or on particular objects. In this case it fosters an image of an era. They often succeed more readily in evoking essential characteristics of a period than documents can do. However, viewing a particular record can bring you a sense of immediate contact with the past. Presidents of this century come into view with the George W. Bush Library and Museum in Dallas, TX. It is combined with the Bush Center. At this moment the Barack Obama Presidential Library is only a website preluding to its opening in Chicago within a few years. Certainly one of the most salient features of Bush’s library is the Situation Room. Not just for school children and researchers this space fires the imagination. We all have seen sometimes movies with scenes set in a presidential room during national and international crises, but the real one is not the kind of medium size conference room. The Secure Video Transmission Site has been recreated at the Ronald Reagan Presidential Library, Simi Valley, CA. The Bush Library offers you also a digital library, a guide to the events of 9/11 and a good overview of other relevant resources. This list of the George W. Bush Library ends with other resources ends with a most vital piece of legislation for the theme of this post, the Freedom of Information Act (FOIA; 5 U.S.C. 552). Presidential libraries and museums are subject to a number of laws and regulations. Four of them deal with presidential transitions. The Office of Presidential Libraries administers the network of these libraries and takes also action to create presidential projects for presidents leaving office. It is tempting to linger longer at the websites of one or more presidential libraries instead of trying to give here a more balanced view. I suppose that when you look a bit longer at their websites you will find materials which are more closely connected with legal history. My choice should give you an idea of the holdings of such institutions and their context. As is my common practice I have put in web links at many turns to lead you to online resources to help you in your research. Once upon a time the virtual world was indeed another world, but after 25 years the Internet is just one of the online media in our current world. The links are for your use, and you should not feel troubled to leave my blog and visit them! As for any presidency it will be most interesting to follow the new president’s actions. His actions should be set within in the framework of the Constitution of the United States, checked by the legislative powers of the Congress and the power of the Supreme Court. The Library of Congress has created a fine overview of presidential inaugurations. Its Law Library should be your port of call to find information about both current American and foreign legislation. In the world’s largest library you can find an incredible mass of information about law and justice in other countries, too. The law librarians’ blog, In Custodia Legis [In the Custody of the Law] is one of the services alerting you to many aspects of their collections and ongoing work to retrieve information for anyone’s use. There is no doubt that in due time we will distinguish the legacy of any president from his other actions. However, it is a true concern where the promises made during the campaign will lead the United States of America and the world at large. As for predicting the future as a historian the old wisdom that politics will touch you sooner or later still holds true, as will visions of law and justice. This entry was posted in Buildings and tagged Digital archives, Digital libraries, Legal history, Legal iconography, Museums, Political history, United States of America on January 24, 2017 by rechtsgeschiedenis. Somehow the walking historian has not appeared at all here this year, but I did certainly walk in 2015 at various locations. One of my recent tours led me to a subject fit for a new contribution. 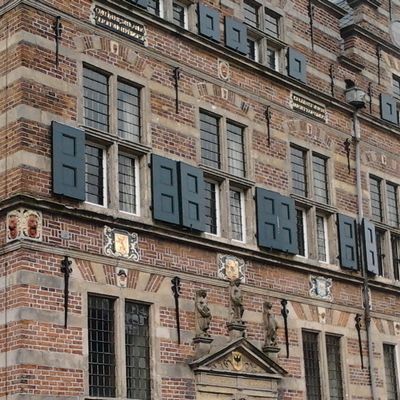 In the old inner city of Utrecht you can spot among the nearly one thousand historic buildings at least three buildings with a clear connection to lawyers from the sixteenth and seventeenth century. Two of them still have a function connected with the aim of their founders. In this post I would like to introduce you to the three buildings, their background and to the lawyers who founded them. The first foundation I would like to show you is the Bruntenhof, a charitable foundation created in 1621 by Frederik Brunt. Its buildings have been lovingly restored between 1979 and 1983. For some reason the very sign at the entrance “ANNO 1621” has not yet been renewed after recent painting work. You can find a lot of information about old buildings in Utrecht in the Utrechts Documentatiesyteem (UDS), with maps, old and modern photographs, research notes and scans of relevant publications about historic buildings. At present the Bruntenhof is a property of the Utrechts Monumentenfonds, a foundation which owns more than one hundred historic buildings. Their website gives a good succinct overview of the history of the Bruntenhof. Frederik Brunt used the garden of his own home Klein Lepelenburg as the space for his foundation with fifteen small houses called cameren, “chambers”, houses with just one room. Brunt also made provisions for fuel, food and other means of livings, and this made his foundation uncommon. His heirs did something which Brunt must have intended but had not dictated. 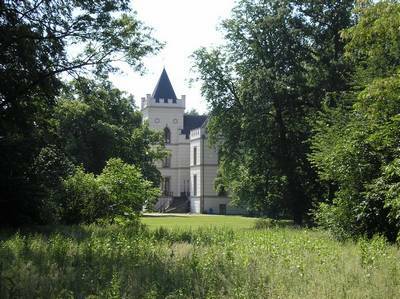 As a Roman Catholic living in a protestant country he wisely did not say anything about religion in the foundation charters, but he wanted poor Roman Catholic widows to live in the Bruntenhof. I tried to find more information about Frederik Brunt, but apart from genealogical information nothing did surface immediately. Interestingly, I did find online the registration of his death (“Mr. Frederick Brunt, licentiaet”) on March 30, 1622 in a transcribed register for the tolling of bells of Utrecht Cathedral (register van overluiden) between 1614 and 1651 [P.A.N.S. 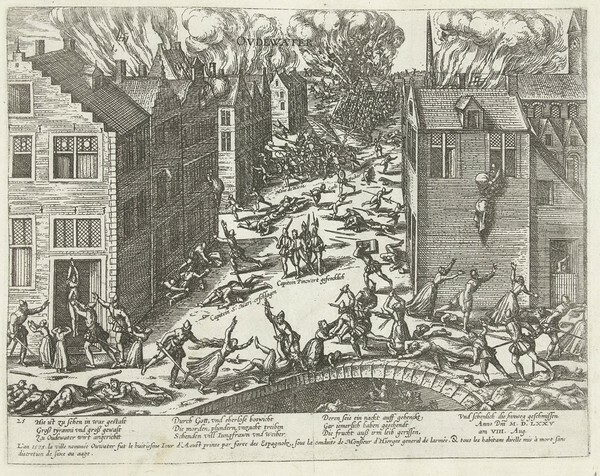 van Meurs, Overluidingen te Utrecht 1614-1651]. This register mentions often the occupations and academic degrees of the deceased, and thus you might use it also to find quickly other lawyers in Utrecht during the first half of the seventeenth century. It was surprising to find this register among other digitized resources for the history of Utrecht at GeneaKnowHow in its section for digitized sources. There is a much more reliable modern transcription of a similar register for the years 1562 to 1614 which shows the sums paid for tolling the bells. For quick information about persons not included in biographical dictionaries such registers can be quite useful. The time the bells tolled and the amount of money often show the status of the deceased. J.W.C. van Campen, for many decades head of the municipal archive of Utrecht, made many notes about the area around the Bruntenhof and the Brunt family [Utrecht, Het Utrechts Archief (HUA), Verzameling historisch werkmateriaal, no. 666]. 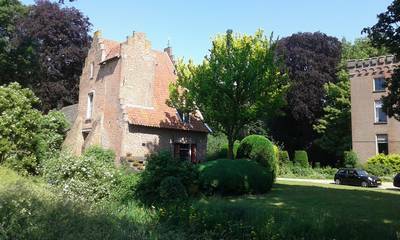 Smaller than Brunt’s foundation are the six cameren, one-room buildings erected in 1652 to fulfill the will of Johan van Gronsvelt who had stipulated this should happen when his wife died. A stone in the building indicated he was a barrister at the Court of Utrecht. The register mentioned above puts his death at August 5, 1642. These houses stand originally in the Agnietenstraat, but they had to move in the eighteenth century for another foundation, a combination of orphanage and surveyors school, the Fundatie van Renswoude (1754). In 1756 the houses were rebuilt in the Nicolaasdwarsstraat near the Nicolaaskerk (St. Nicholas). An inscription with a chronogram in it to show the year to those people who know this kind of riddle. The second half of this inscription merits attention, Uit liifde puur gesticht door loutre charitaat / Tot Bystand van de lien om Godswil anders niit, “Founded from pure love by charity alone / As a support of people for Gods will and nothing else”. A second inscription below it tells us about the removal in 1756. When walking here in November an acquaintance pointed to the difference in the model of the rain gutters which according to her had to do with the religious background of the people living in a particular house. In fact there had been a fight over the management of this foundation and after a split-up maintenance was done differently ever since. Nos. 1, 2, 5 and 6 were maintained since 1719 by the Roman Catholic almshouse, the other two by the original foundation. In 1746 the almshouse itself was split into an “Old Catholic” office responsible for the houses 5 and 6, and a Roman Catholic office for nos. 1 and 2. After the removal of 1756 different ways of maintenance continued. 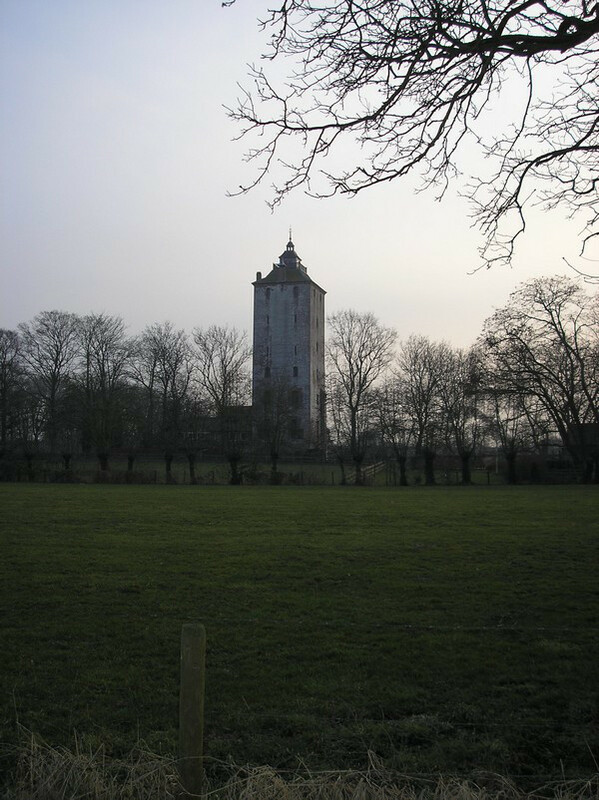 A housing corporation currently owns the Gronsveltcameren. Of course I have looked at the inventory of the archive of the provincial court of Utrecht kept at Het Utrechts Archief, but there is no separate register of advocates and barristers. However, with the third lawyer we will look at a person whose legal practice, too, will come into view. 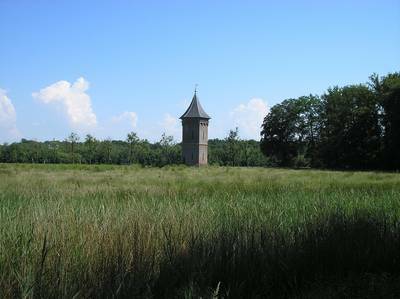 At the other side of the Nicolaasdwarsstraat is a much older building, a former monastery, the location of one of the foundations created by Evert van de Poll. Den VIIIen Septembris mr. Evert van de Poll, raet ende advocaet van de edele heeren Staten sLants van Utrecht, II uren met Salvator, XII gl. reads the notice in the account for the tolling of bells in 1602. The fine history of Utrecht University Library published in 1986 did tell the story of the books which entered in 1602 the municipal library, the core of the university’s library founded in 1636, but the exact date of Van de Poll’s death was not known thirty years ago.1 The books from Van de Poll’s legacy were inscribed with a note “Ex dono Ev. Pollionis”. However, the authors duly noted a notice from 1609 about his foundation of a workhouse for the poor. His explicit aim was to help and educate poor children in order to prevent them becoming vagabonds and people without work whose live would end badly. This text echoes the very inscription found above the entrance of the workhouse, “(…) hating all idleness (…) erected for those who prefer to win a living with work above empty begging (…)”. The archive of this foundation at Het Utrechts Archief is not very large, and thus it is well worth pointing here to a resolutieboek, a register with decisions of the board of directors for the period 1634 to 1751 kept in the Dutch National Archives in The Hague as part of the archival collection of the Calkoen family [NA, Familiearchief Calkoen, inv. no. 1687]. In the eighteenth century the workhouse did not function properly anymore, and the main purpose became providing poor people with some money (preuve), paid with the rents coming from four apartments created in the former workhouse. Van de Poll founded a second workhouse at Amersfoort, and a small archival collection survives at the Nationaal Archief. 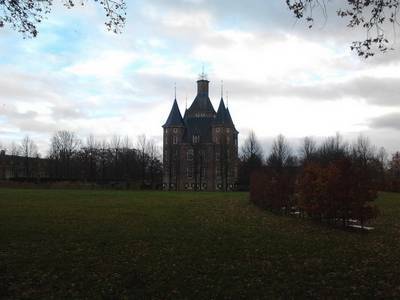 The website Huizen aan het Janskerkhof of Caroline Pelser gives a nice overview of the consecutive possessors of Van de Poll’s house near the Janskerkhof. Interestingly Van de Poll inherited the house in 1580 from Floris Thin. Nowadays Drift 21 is part of the inner city location of Utrecht University Library. Van de Poll’s printed books and manuscripts are at the modern building of this library on the campus east of the old city, where they are kept within the Special Collections. At her website Caroline Pelser has created a most useful index of important online finding aids at Het Utrechts Archief concerning law and justice in Utrecht, with also links to digitzed printed accounts of some cases heard and verdicts given at Utrecht in the seventeenth and eighteenth century, and last nut not least digitized printed ordinances for court procedure, both for the municipal court and the provincial court. We have looked here at three lawyers and their contribution to Dutch society after their death, and surely more can be said about them and about their colleagues, but for now we have come to the end of this walk. The Janskerkhof has figured at my blog already several times, in particular in some seasonal postings. This year winter seems far away. In December the weather at Utrecht has even broken all records since 1901 for high temperatures. Anyway it is fitting indeed to end this year’s contributions again at and near the Janskerkhof. The States of Utrecht convened since 1579 in a former Franciscan convent at the Janskerkhof, in the twentieth century for thirty years home to the law library of Utrecht University. Between 1597 and 1602 Evert van de Poll must have visited this building often. A part of the Janskerk was since 1584 home to the city library and from 1634 onwards until 1820 for the university library. Next year I would like to look somewhat longer at Van de Poll, his books and his activity as a lawyer. I hope you liked this tour of Utrecht, and welcome here again in 2016! 1. D. Grosheide, A.D.A. Monna and P.G.N. Pesch (eds. ), Vier eeuwen Universiteitsbibliotheek Utrecht, I: De eerste drie eeuwen (Utrecht 1986) 37-40. 2. John Tholen, ‘Zonder pracht of pomp : Evert van de Poll en zijn verlangen naar de muzen’, Jaarboek Oud-Utrecht 2012, 69-90. 3. Marceline Dolfin, E.M. Kylstra and Jean Penders, Utrecht. 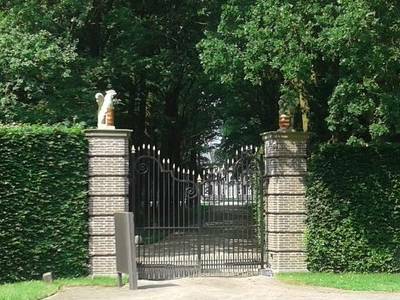 De huizen binnen de singels. Beschrijving (The Hague 1989) 330-335. This entry was posted in Buildings and tagged Cultural heritage, Early printed books, Legal history, Netherlands, Social history, Utrecht on December 28, 2015 by rechtsgeschiedenis. However seducing texts are as sources to gain new knowledge, images do rightfully claim our attention, too, nay stronger, they are even more seducing and intoxicating than texts. Legal iconography is the auxiliary science to history and law which studies the uses and abuses of imagery in law and justice. A few months ago I was attracted to a building with both images and texts in an intriguing combination. Very close to it is a statue of a man who has been responsible as few others before him for introducing images as an educational tool. Here I would like to share with you a few thoughts about this building and about the role of images in teaching and research. This summer I visited the town of Naarden, some twenty kilometers to the south-east of Amsterdam. 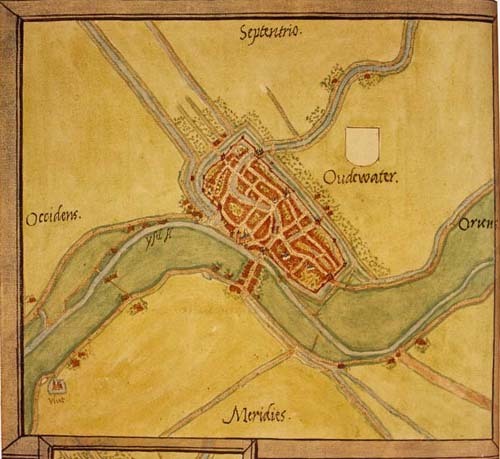 Jacob van Deventer’s map of Naarden, part of the cartographic project for the Spanish king Philip II, shows a town with medieval city walls, no match for the modern weapons of the sixteenth century. 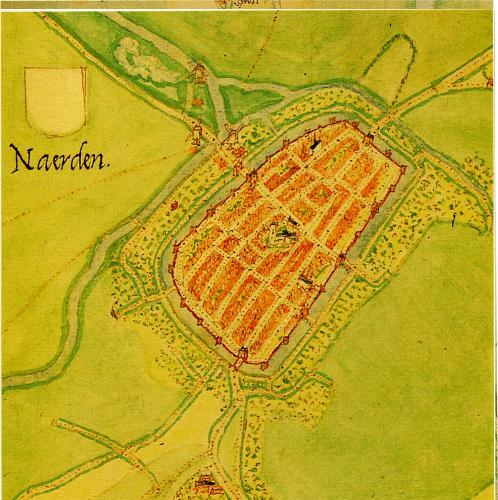 During the Dutch Revolt Spanish armed forces attacked Naarden in 1572 with brutal force. The soldiers murdered the inhabitants and destroyed the city almost completely. The Grote of St. Vituskerk with its famous painted wooden vaults survived. 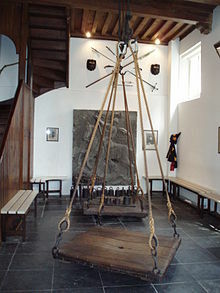 Afterwards Naarden became a fortified town, even an archetype of the Dutch fortification system, as you can see when visiting the Vestingmuseum. 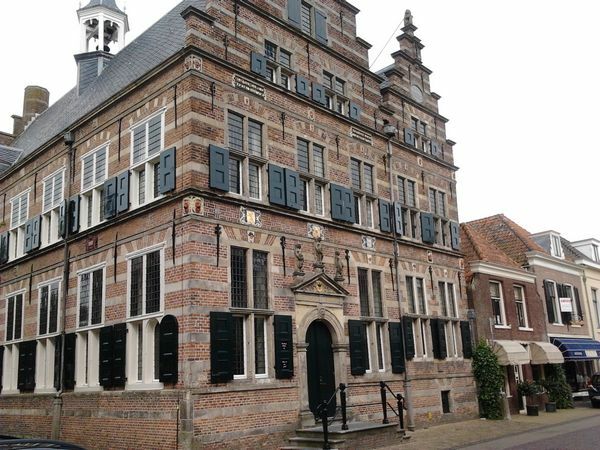 Among the buildings rebuilt in Naarden after 1572 is the town hall in Dutch Renaissance style, completed in 1601, almost thirty years after the tragic events. Whatever form the medieval town hall might have had, its new incarnation still looks splendid. On the facade not just blazons and statues all convey their particular visual message, Three texts have been added to bring yet another message. On closer inspection two of these texts are really two versions of the same message. The Latin text to the left has been superbly condensed into Early Modern Dutch. The Latin reads: Quidquid erit superanda / omnis fortuna ferendo est, “whatever the event may be, every turn of fortune has to be subdued by bearing it”, a quote from Vergil’s Aeneid (V,710). Surprisingly the Dutch is much more condensed, but succeeds in adding also a significant twist: Ist lyden ist vreucht / Draeght soo’t God vuegt, “be it suffering or joy, bear it when God brings it”. Here classical Antiquity is invoked at the service of the civil authorities, but at the same time subtly christianised. The pious overtones are much clearer in the inscription below the tympanum above the entrance, Godt regiert al anno 1601, “God governs everything, in the year 1601”. The tympanum is crowned by allegorical statues representing Faith, Hope and Justice, the latter in the middle portrayed in the familiar way of a blindfolded woman with a balance and a sword. On the top of the left part of the facade is an allegorical statue of Love, the right part is crowned by the Dutch lion. The blazons below the first floor windows are those of the county of Holland (a lion rampant), of prince Maurice of Oranje, and West-Friesland. In the tympanum you can see the blazon of the Habsburg emperors, the Austrian Doppeladler, the double eagle, which is also the blazon of the city of Naarden. Combining texts and images is of course not something new, but in a way it is here at least a bit unexpected. At first the brief Latin proverb and its wonderful crisp and concise Dutch rendering led me to speculate about a very particular influence. Justus Lipsius (1547-1606), the great Flemish political theoretician who taught some years at Leiden was also known as an editor of Tacitus. He influenced Pieter Cornelisz. Hooft (1581-1647), a prolific author and for forty years bailiff of Muiden Castle near Naarden. He wrote his Nederlandsche Historiën, a history of the Low Countries in difficult prose, clearly modelled on Tacitus’ works. Hooft published in 1611 Emblemata amatoria, a volume of emblems, symbolic images with a motto and didactic verses. However, we must rule out this argument as a possible source of influence for the decoration of the town hall in Naarden, simply because Hooft was much too young in 1601 to exercise any influence. I was genuinely surprised, too, to find Vergil as the author of the quote, not Tacitus. Instead one could perhaps better look at the early works of Hugo de Groot (1583-1645). A search for possible direct influences at Naarden can be quite long. A quick search for Dutch literature citing Vergil’s words in the Digitale Bibliotheek voor de Nederlandse Letteren (DBNL) brought me to Jacob Andriesz. Boelens (1554-1621), a burgomaster of Amsterdam often active on special missions in the early seventeenth century whose motto was Superanda omnis fortuna ferendo. It is a tantalizing hint which needs further corroboration. The literary genre of emblematic literature was launched by one of the most famous humanist lawyers, Andrea Alciato (1592-1550) with his volume Emblemata (first edition Augsburg: Steyner, 1531). In 1529 he had already published Selecta epigrammata Graeca Latine versa (..) (Basel: Bebel, 1529; online in Göttingen). It is intriguing to look for an emblem which might have influenced the choice of a text at Naarden. Access to early editions of emblem books is much helped by four major online projects, at Glasgow for Italian and French books, at Utrecht for Dutch books, mainly from the seventeenth century, the project Emblematica Online of the University of Illinois at Urbana-Champaign and the Herzog-August-Bibliothek Wolfenbüttel, and the Biblioteca Digital de Emblemática Hispánica of the Universidade da Coruña. Et toleranda homini tristis fortuna ferendo est, Et nimium felix saepe timenda fuit. Sustine (Epictetus dicebat) et abstine. Oportet Multa pati, illicitis absque tenere manus. Sic ducis imperium vinctus fert poplite taurus In dextro: sic se continet a gravidis. The online collections at Glasgow has a separate section for Alciato. The first line Et toleranda homini tristis fortuna ferendo est of an emblem appearing in the section Fortitudo of Alciato’s collection comes closest to the quote from Vergil. In the edition Venice 1546 you will find this as no. 34, the emblem Anechou kai apechou / Sustine et abstine, at fol. 29v. In later editions this emblem has either no number or it appears with a different number, and thus it is really necessary to indicate exactly which edition you happen to use. For our emblem you would find it for example in the Paris 1550 edition on page 41. The image shows a farmer who keeps bulls away from cows. The Glasgow project has a useful list of the mottos and their occurrences in the main editions of Alciato’s text, and the Alciato website by William Barker is also most helpful in tracking emblems, mottos and verses; you can even find an English version of this emblem. However, this is only a possible indirect source or inspiration behind the choice for a verse with an admittedly more pointed and direct meaning, The emblems in the section Fortuna might be the first spur for searching a text, in particular the emblem Semper praesto esse infortunia. Why do I refer here at length to Alciato’s work and the role of images in connection with the town hall in Naarden? 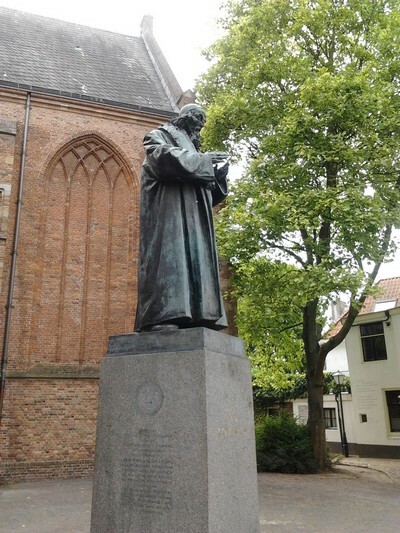 Across the street with the town hall of Naarden is the Grote or St. Vituskerk, and between the church and the town hall is a statue commemorating the Czech theologian, philosopher and pedagogue Jan Amos Comenius (1592-1670). From 1656 onwards he had found a refuge at Amsterdam. Comenius had contacts in Naarden, and he was buried in a church at Naarden. The Comeniusmuseum keeps his memory alive. Among his works are books such as the Ianua linguarum reserata [The open entrance of languages] (1631) which developed a new model for teaching Latin and other languages, and the Didactica magna (1633-1638), his opus magnum with a new comprehensive view of children’s education. The possible connection between Comenius and legal iconography is offered in particular by his Orbis sensualium pictus [The world of senses in images] (1658), the first book recommending and exemplifying the systematic educational use of images. In this work he uses for example pictures to help children learning the alphabet. In the space of this posting I can at least point you to the Bibliothek für Bildungsgeschichtliche Forschung in Berlin. Its digital library contains among other things early illustrations from pedagogical works. More than a century before Comenius Alciato and others had introduced first a learned public and later also a wider public to a very successful combination of images and texts. The taste for this genre was at least sometimes mirrored by architecture. Alciato brought to the new emblematic literature his own legal background which made it a potential useful resource for anyone looking for outspoken combinations of images, concise proverbial sayings and often exquisite poetry. Somehow the presence of this literary genre makes it far more conceivable that lines from classical poetry can embellish buildings. As for which specific emblems collection provided Dutch people the clue for their choice I suppose you will need to look at many different collections, not just the Latin collections, but also those in Dutch and French, and even collections published in Spain. Sofar we have only looked at the facade of the town hall in Naarden. It would be really interesting to look also inside the town hall at the interior where you can find for example two seventeenth-century paintings in the city court room. I am sure you cannot separate them completely from the intriguing facade. The digital portal Memory of the Netherlands offers you a very quick entrance to images of both inside and outside the stadhuis at Naarden. Some photographs are already a bit older and reflect to some extent earlier scholarly approaches. 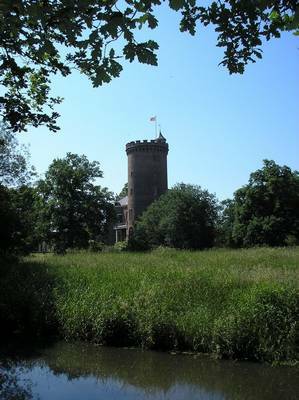 For further research you will no doubt benefit from the resources at the municipal and regional archives in the Gooi- en Vechtstreek, located in Naarden and Hilversum. This week I saw the 2013 online exhibition The Nomos of Images. Manifestations of the law in picture atlases and photo archives created by the Photothek of the Kunsthistorisches Institut in Florence. Some images in this virtual exhibition come from the Sammlung Karl Frölich at the Max-Plank-Institut für europäische Rechtsgeschichte in Frankfurt am Main, a collection with photographs taken between 1930 and 1950 which eventually will be digitized. In my view it can be most helpful to use both older resources and new materials to help research in the field of legal iconography. This post gives only some indications of directions you might choose for further investigations, but hopefully it helps you to get a taste of them. At the blog Interfaces/Livres anciens de l’Université de Lyon appeared on November 24, 2014 a very interesting contribution about Comenius, ‘Comenius, un pédagogue de l’avant-garde’. This year the digitization of the Sammlung Karl Frölich has been completed. In 2015 I have published a post about this collection. This entry was posted in Buildings and tagged Art, Education, Heraldry, Legal history, Legal humanism, Legal iconography, Netherlands on October 31, 2014 by rechtsgeschiedenis.